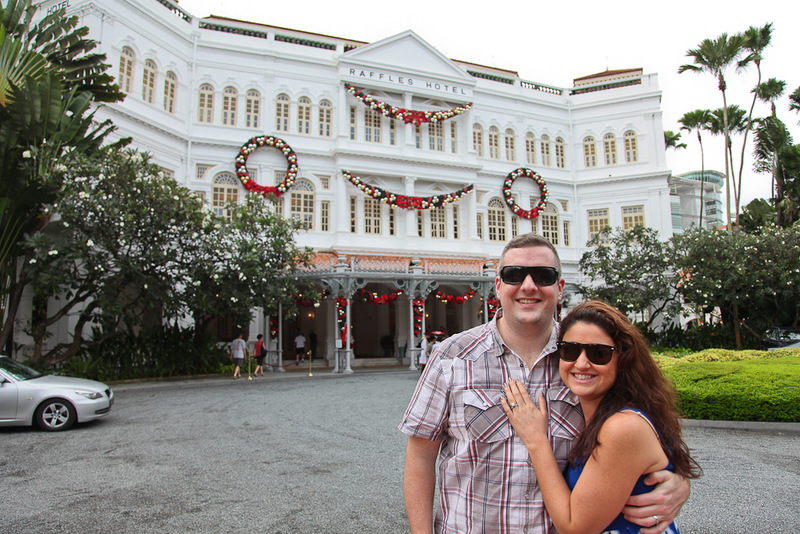 My brother and sister in law stopped through Singapore in early December before their honeymoon in Thailand. We had such a great time, though it was only a few days. I have lots of pics to get through but I will start with day 1. 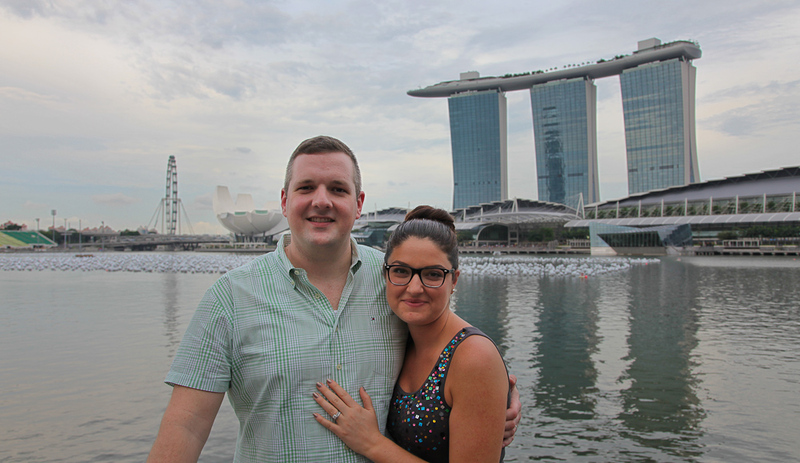 We started with a walk around Marina Bay from our apartment to the Merlion. Popsicles melt FAST in this heat! 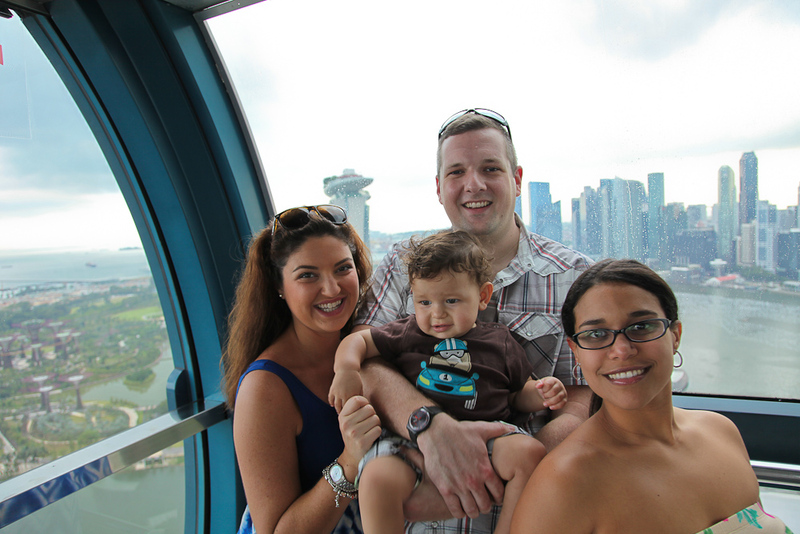 We then hit up the Singapore Flyer, the country’s bigger version of the London Eye ferris wheel. 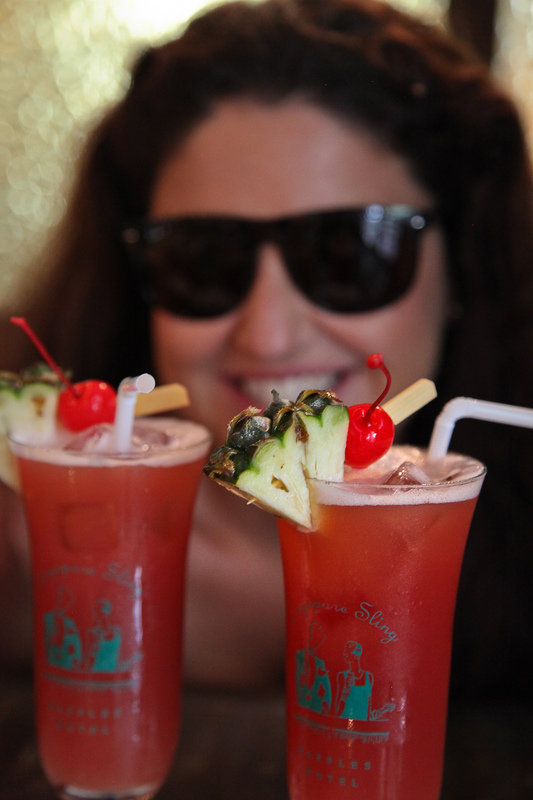 It offers sweeping views of the Singapore skyline and Marina Bay. 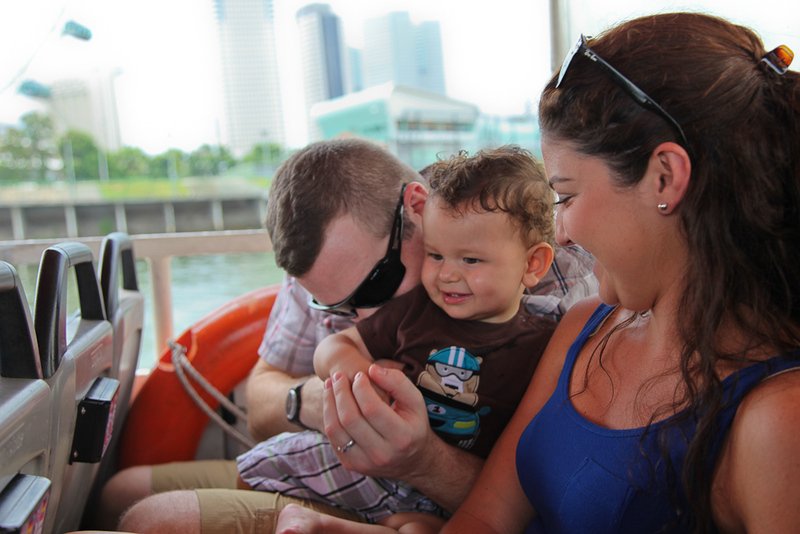 We followed up the flyer with a duck tour! 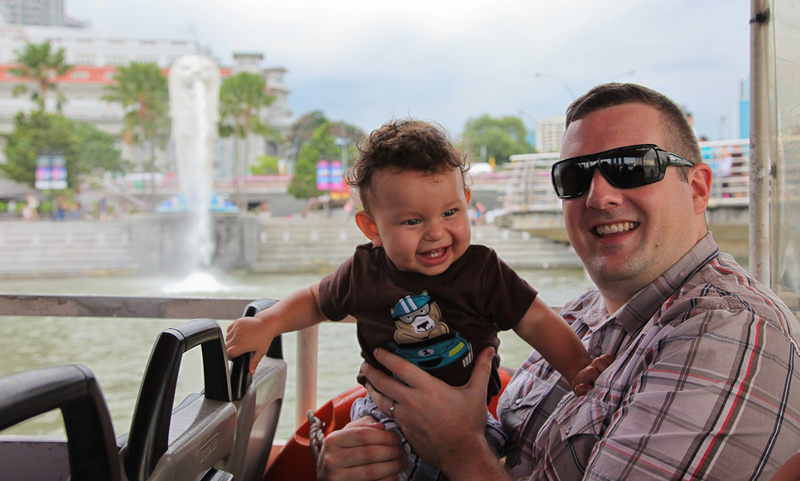 The all terrain vehicle cruises some of the streets around the bay, and then flops into the Singapore river for views of the Merlion, Marina Bay Sands, and the Financial district. Cam had so much fun hanging with his aunt and uncle! 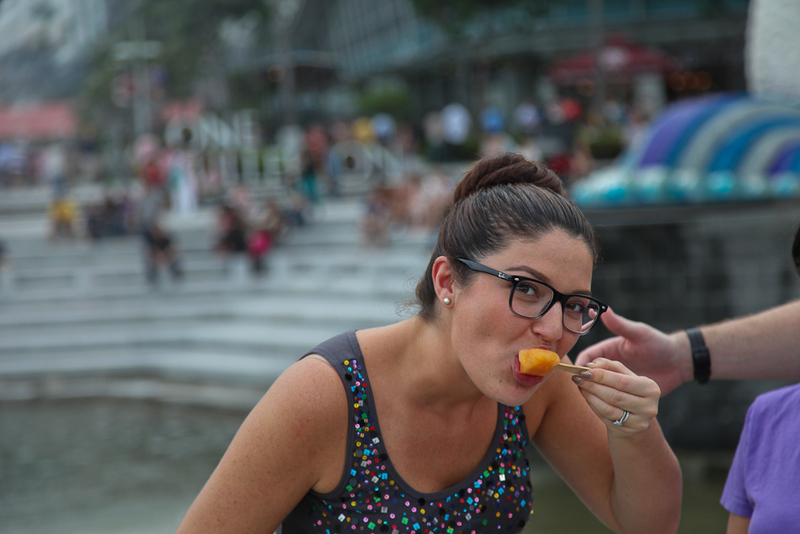 Pure happiness right here with the Merlion in the background. 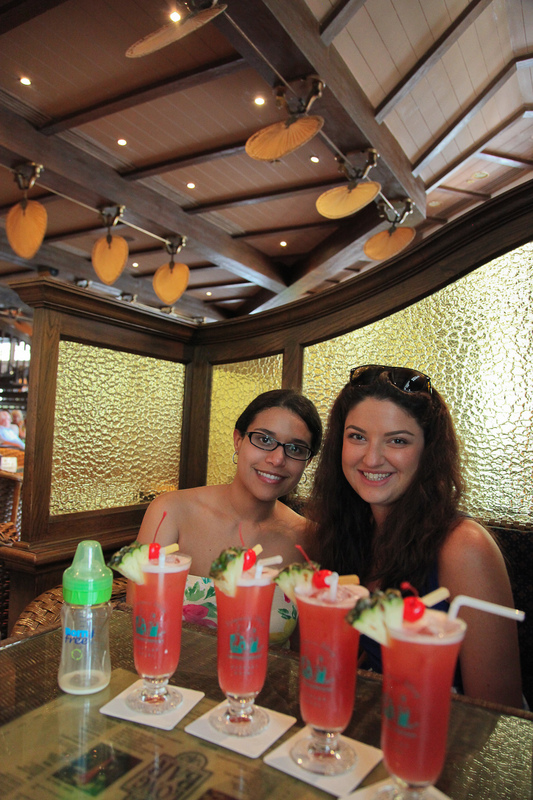 We then walked up the Raffles Hotel to catch a world famous Singapore Sling at Long Bar, the originator of the concoction. We each got a sling, and Cam had his bottle. Lots more pictures to come of our adventures!